School has started again and I'm teaching a course on apologetics and one on evolution. Below is what I handed out for today's teaching time for the class on evolution. I'm attempting to start with some thoughts on the philosophy of science and how theology should be integrated. [T]he Christian worldview has a wide variety of arguments in its favor. Suppose someone is convinced that Christianity is true for some of the reasons offered in this and other apologetic works. That person could be rational in rejecting the general theory of evolution for reasons outside science, even if evolution is rationally justified when science is considered alone (and this is itself questionable). 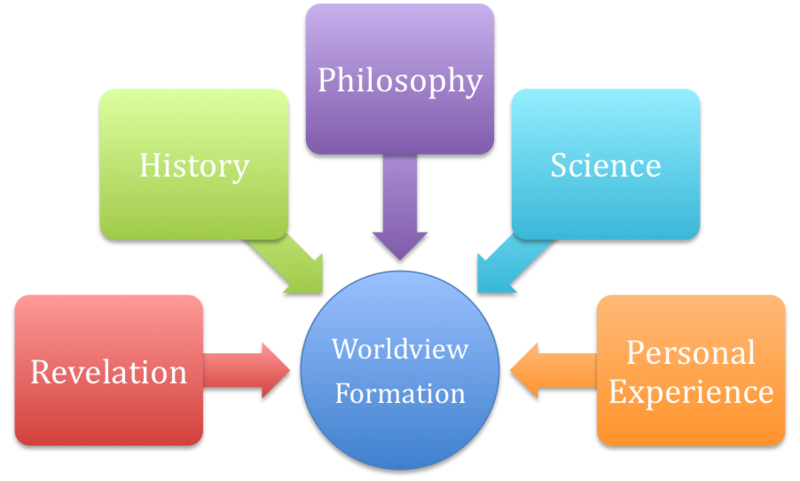 The rationality of a worldview is a multifaceted affair, involving scientific, historical, and philosophical considerations. It is difficult to see why science should be singled out for the role of dictator in worldview assessment, since worldviews are broad paradigms which must take into account all the facets of life… Science is an important part of worldview assessment, but it is only one part. In its broadest sense, theistic science is rooted in the idea that Christians ought to consult all they know or have reason to believe in forming and testing hypotheses, in explaining things in science, and in evaluating the plausibility of various scientific hypotheses, and among the things they should consult are propositions of theology. 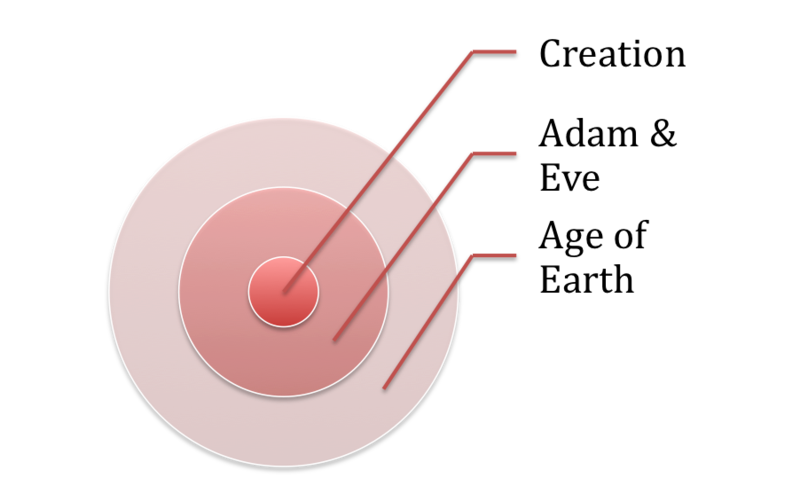 The above diagram is attempting to show something of the relationship between various doctrines associated with creation, humanity, and the age of the earth. The doctrine of creation—the fact that God has created without yet specifying an answer to the “how” question—is of crucial importance. To affirm creation is to deny all forms of naturalism; it is to recognize that God is the Creator. The doctrine of the historicity of Adam and Eve is of importance due to its connections with so many other doctrines in the Scriptures (i.e., sin, the goodness of God, inerrancy, unity of the human race, etc.). The age of the earth is farther out on the diagram. It does not hold as central a place in the doctrinal hierarchy. One could change one’s view on this topic and it would require some recalibration of other beliefs to bring consistency but the re-working of the overall doctrinal system would not be as extensive as changing one’s view on Adam and Eve or on the notion of God as Creator. Also, as one moves out from the center of the diagram the fullest and clearest biblical material is in the center with less as one moves to the outer edge. In other words, there is more biblical data on God as Creator than on the age of the earth. J. P. Moreland, Scaling the Secular City: A Defense of Christianity (Grand Rapids, Mich.: Baker, 1987), 204. J. P. Moreland, “Theistic Science and Methodological Naturalism” in The Creation Hypothesis: Scientific Evidence for an Intelligent Designer edited by J. P. Moreland (Downers Grove, Ill.: Intervarsity, 1994), 41.